The Thing with Feathers explores the astonishing homing abilities of pigeons, the good deeds of fairy-wrens, the influential flocking abilities of starlings, the deft artistry of bowerbirds, the extraordinary memories of nutcrackers, the lifelong loves of albatrosses, and other mysteries-revealing why birds do what they do, and offering a glimpse into our own nature. 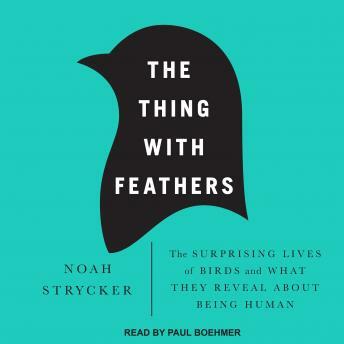 Drawing deep from personal experience, cutting-edge science, and colorful history, Noah Strycker spins captivating stories about the birds in our midst and shares the startlingly intimate coexistence of birds and humans. With humor, style, and grace, he shows how our view of the world is often, and remarkably, through the experience of birds.